When it comes to buying a new bed, it’s easy to overlook the importance of investing in a good mattress. As tempting as it is to pick the option that’ll make you feel like you’re sleeping on a cloud, picking a mattress that will support your back and relieve the pressure off your joints is more crucial…as unsexy as that sounds. Regardless of your age or body condition, an ideal mattress is one that optimises the quality of your sleep – regardless of whether you get the luxury of 8 hours every night or not. 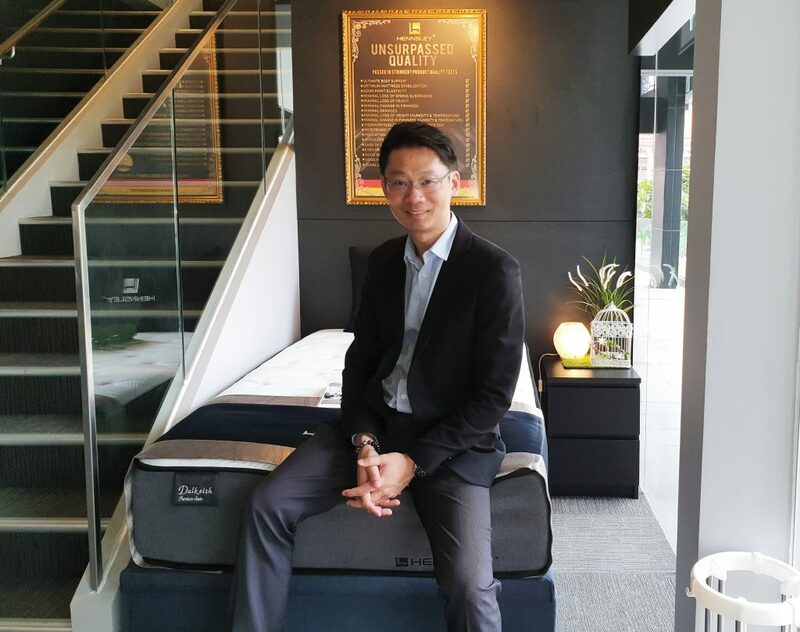 Marcus Goh (47) is the founder of mattress brand Hennsley, and a staunch believer that “getting a wrong mattress will affect sleep quality and eventually your health”. I got in touch with the Hennsley team to find out why a Singaporean gave up a high-paying job, and how he proved that entrepreneurship isn’t just the playground of millennials. Having worked in the consumer electronics, homeware, and bedding industry, Marcus’ team shared with me that throughout his career, the thought of starting a company to sell mattresses never crossed his mind. However, it was only after he left the bedding industry did he realise his passion for bedding and mattresses. Then, he was still the Head of Sales at WMF Singapore Pte Ltd, a subsidiary of a leading German stainless steel cookware corporation, WMF Group. Needless to say, making the decision to give up a high-paying job for the uncertainty of starting up was not an easy decision for him. This was coupled with discouragement from some of his family and friends, who “cited that at his age, he should stay where he was and not take unnecessary risks”. Due to his age, it would be very challenging for him to find a job with a similar pay if his venture failed. Eventually, he drowned out all doubts and chose to pursue his dream, telling himself that “it’s now or never”. 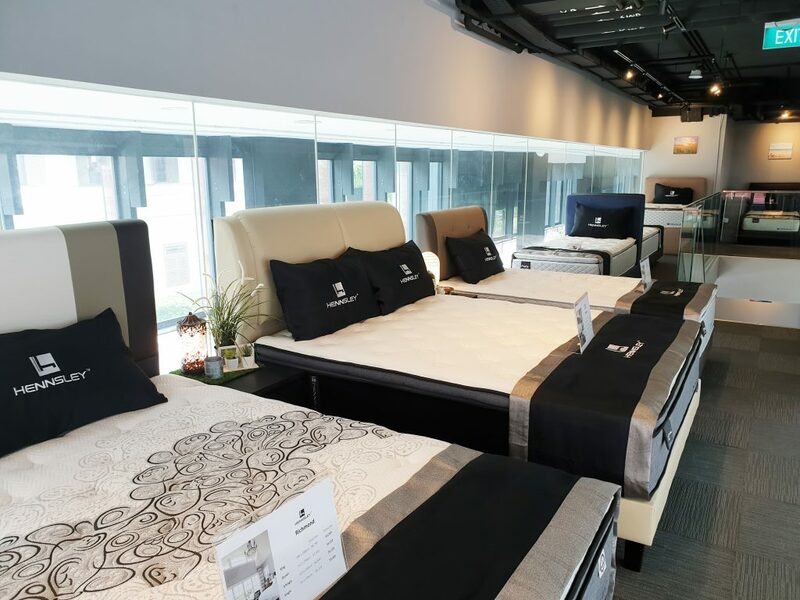 With a vision to sell mattresses that suited to needs that Singaporeans would have, Marcus quickly started his search for factories that could produce the mattress specifications he had in mind. Unfortunately, finding trusted partners proved to be a difficult as many suppliers were unwilling to accept his smaller quantity of orders (Hennsley started out with just 5 mattresses on display). Eventually, he managed to secure 2 factories who were willing to materialise his ideas. Hennsley was officially launched in 3rd quarter of 2015, with the first outlet being at an industrial park in Ang Mo Kio. Currently, their showroom is at East Coast, and they are stocked in two Courts outlets. Marcus has invested over $200k into the business since inception. His team shared that although their supply issue has been solved, a challenge they’re still facing is convincing customers that “local brands are not necessarily inferior in quality in comparison with well-known international brands”. Thus, the mantra that the Hennsley team runs on is that the customer’s well-being always comes first. So while the final decision is the buyer’s, the team still needs to be able to say that they have educated the customer about mattresses to the best of their abilities. 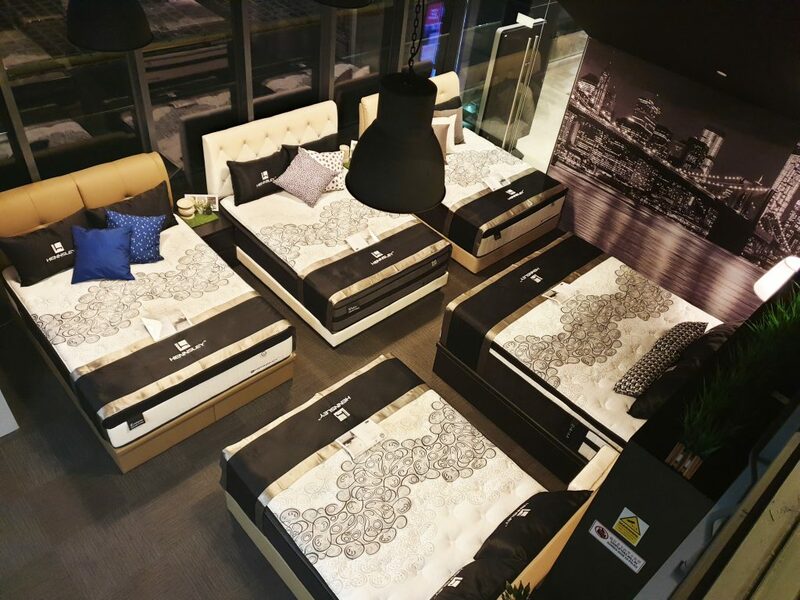 To ensure that customers get the best quality products, Hennsley also engages in a third-party testing laboratory in Germany to test its mattresses. 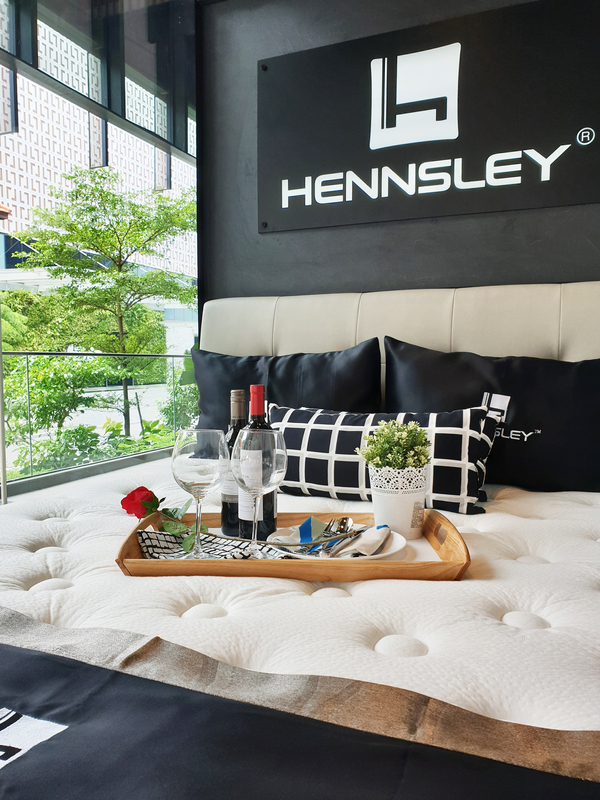 Hennsley’s commitment to producing great mattresses and sincerity in dealing with customers has paid off, and the brand now achieves more than $1.2m in sales annually, with their business still growing steadily. To end off the interview, I asked if there are any misconceptions about mattresses that Marcus would like to dispel. First, Marcus wants people to know that while mattresses can last a considerable number of years after their warranty period, one should never forget that old ones aren’t the most hygenic. He also brought up the fact that some might think that “mattresses are all the same and I can sleep on any mattress”. Marcus used the analogy of “cars are all the same, and I can drive any car” to explain why that statement doesn’t make sense. Therefore, you might be able to sleep on any mattress, but that doesn’t mean that you will have a better quality sleep on one. I’d like to thank Marcus and his team for their time!